Mum's genius baby back on social media. BEING a new mum can be tough. So let's give a round of applause to this genius woman. 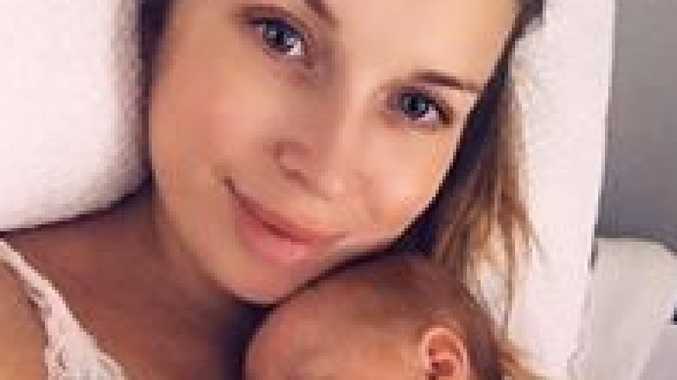 Gold Coast mum Melissa Dykstra managed to fashion a hack to get some precious moments away from her bub Olivia - and even finish her coffee. 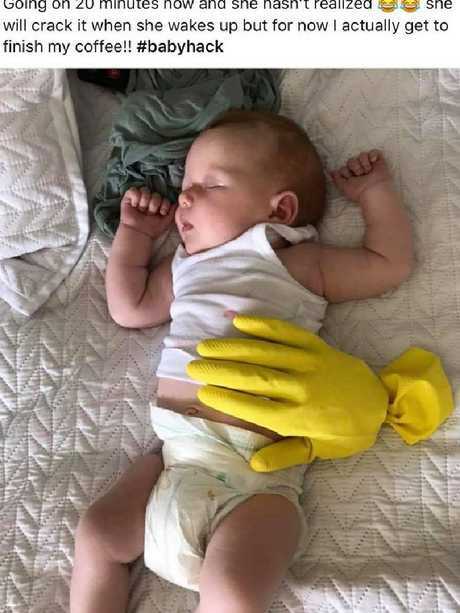 Hundreds of mums have taken to social media to share the idea where Ms Dykstra rested a blown up rubber glove on her one-month-old's belly, in place of her own hand, so she could have a shower. 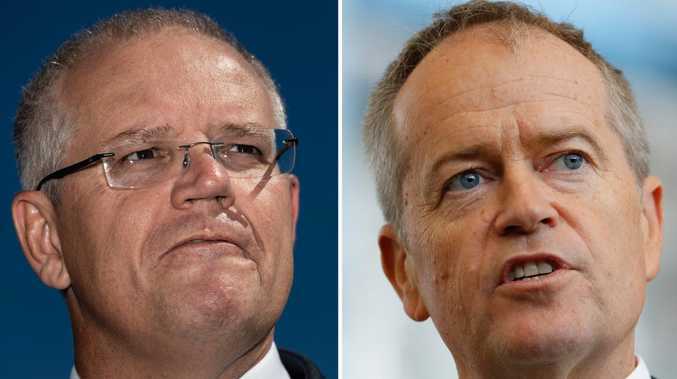 "It gave me enough time for a shower and to finish my coffee while it was still hot," she told news.com.au. "She's going through her first 'leap' (in her mental development) so she's been extra clingy the last few days and makes it so hard to even go to the bathroom so I thought I'd try it and I was surprised at how well it worked." Melissa Dykstra shared this image to a Facebook group and mums love it. The post has been shared more than 2500 times on the Baby Hints and Tips Facebook group, with comments like "brilliant" and "gold" and "why didn't I think of this before!". It turns out mums have been busy fashioning all kinds of substitutes for themselves. "Not gonna lie when I worked in childcare I was known to leave a shoe on a kid so they would think I was still there," one woman said. Another wrote: "This legit works! I've put a sand-filled door stopper on (my baby's) back and walked out the room and she had no idea." Others have used hot water bottles or heat packs: "I used to put a wheat bag heat pack (unheated) on baby to give him the sensation I was still holding his tummy." Even older mums got on board: "Why didn't we think of this earlier … Like 30 years ago. You young mums are really inventive. I now fully appreciate how good disposable nappies are."